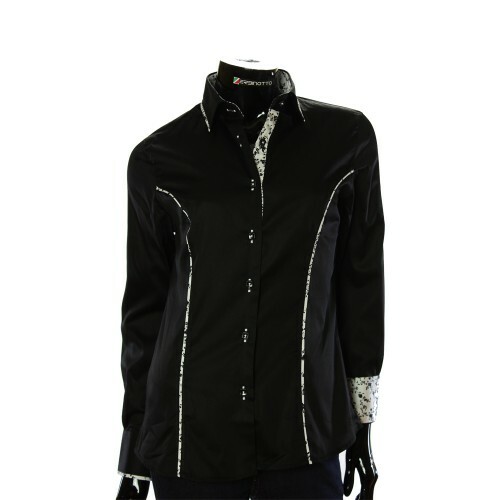 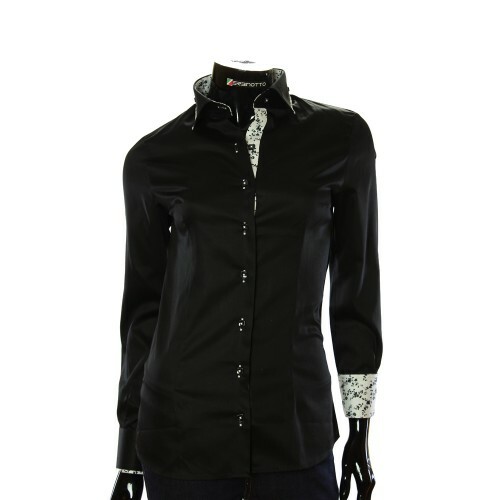 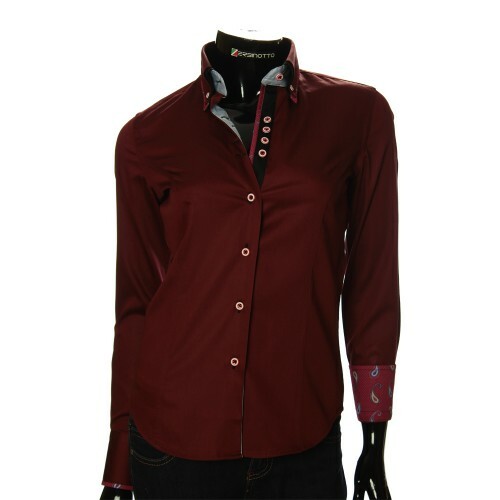 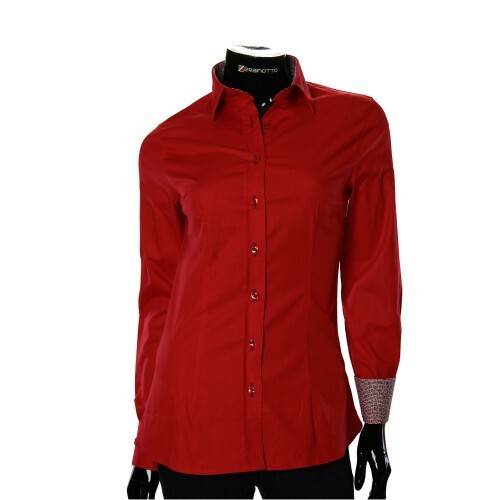 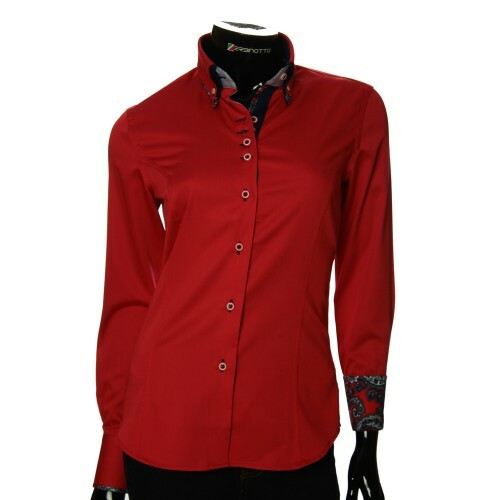 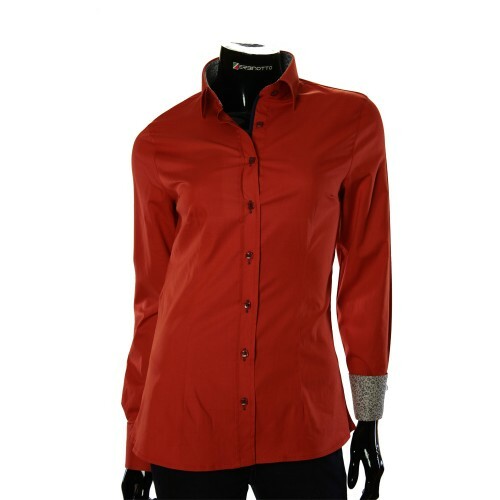 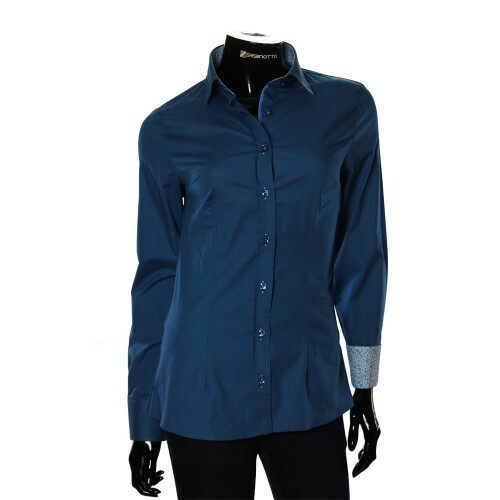 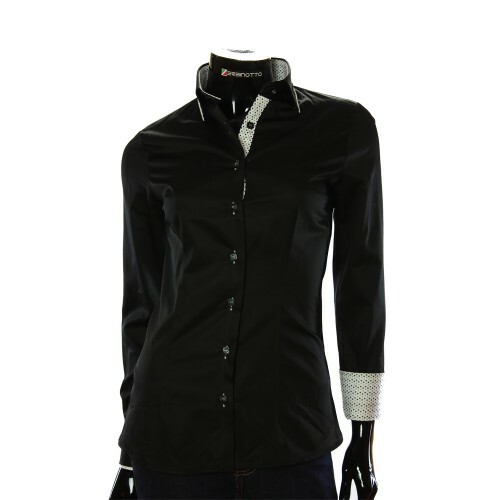 Women's black shirt with a double collar and cuffs. 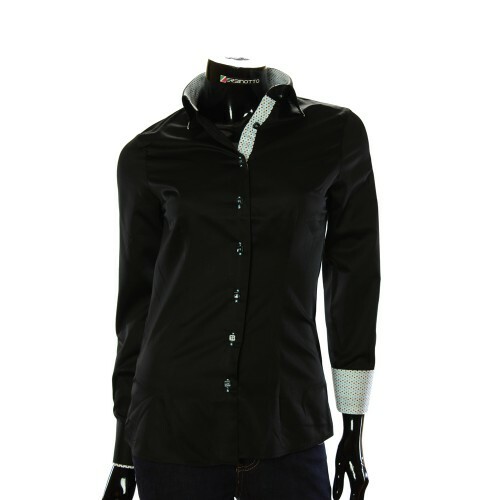 Women's black shirt with a double collar on buttons. 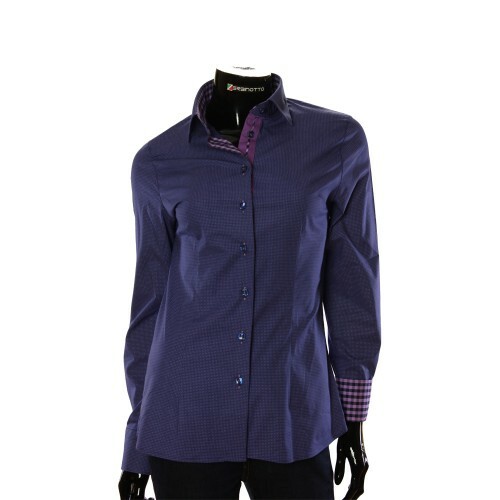 The shirt collar has colored inserts. 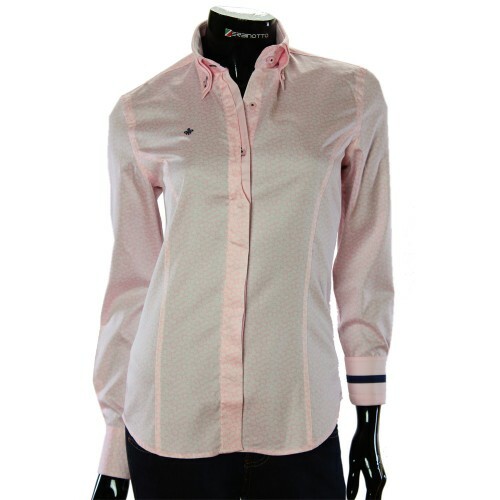 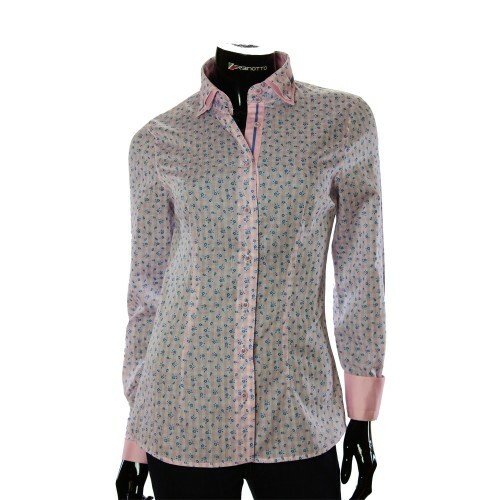 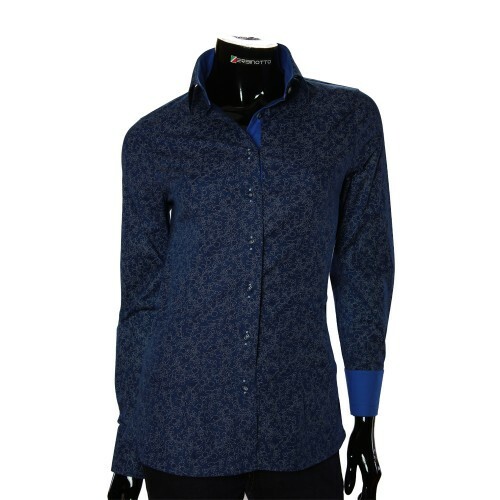 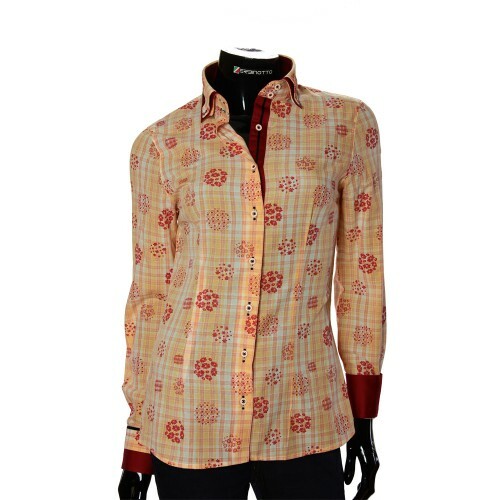 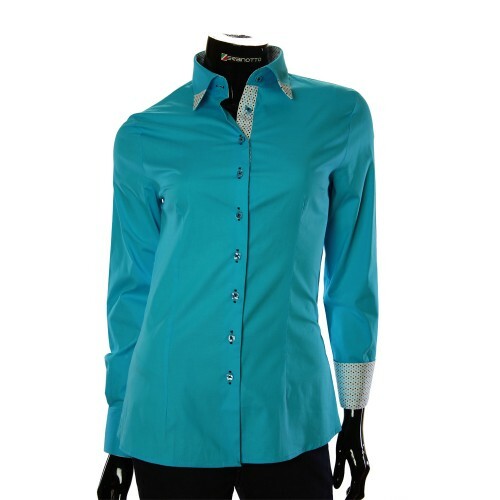 The women's shirt makes your style individual. And this style adds a highlight of the extraordinary double-sided cuff. 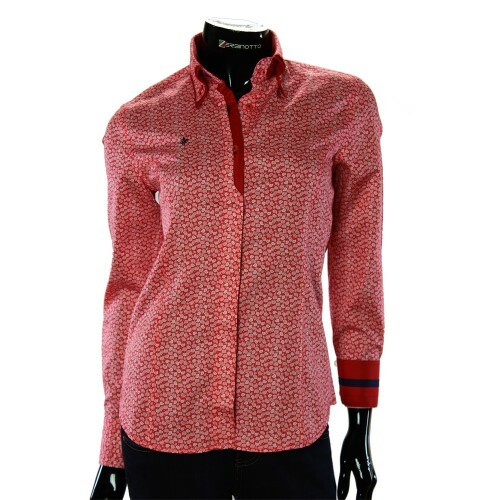 The cuff and the line along the body are executed with a print. 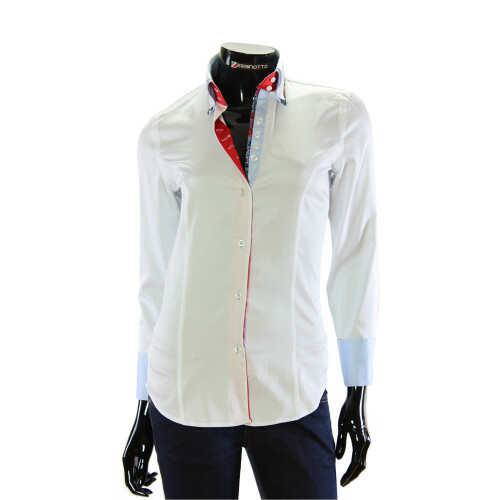 The shirt can be worn wrapping the cuffs, thus making either a solid classic cuff or highlighting the shirt cuffs with a pattern. 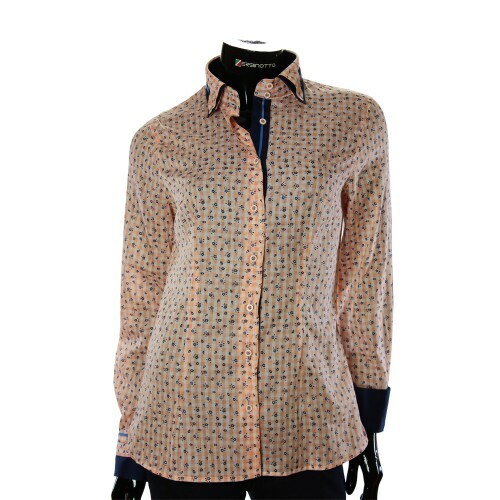 The shirt is combined with jeans, trousers and skirts. 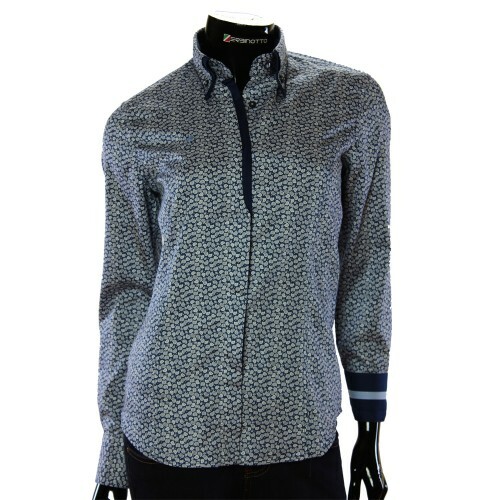 Over the shirt can be worn Casual blazer blazer monophonic or in a pattern. The color of the jacket under the shirt can be chosen in accordance with your wishes and mood, but that would be the same shade as on the shirt.